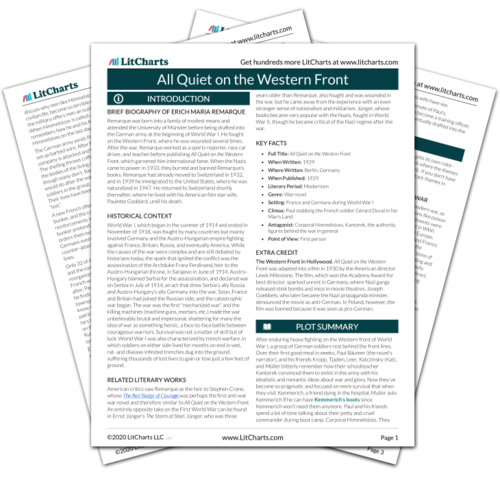 Instant downloads of all 942 LitChart PDFs (including All Quiet on the Western Front). 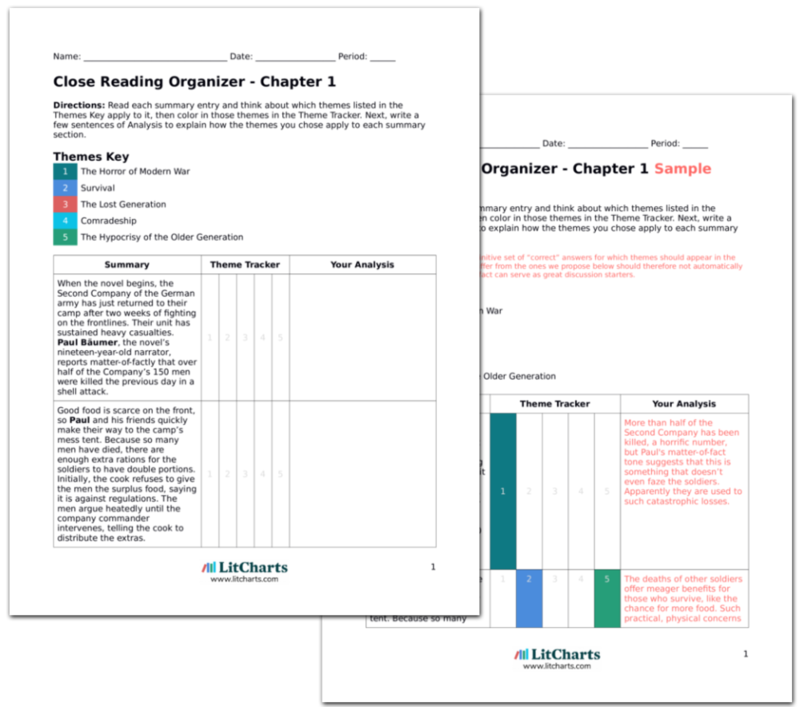 It's easy to cite LitCharts for use in academic papers and reports. Sobel, Ben. "All Quiet on the Western Front." LitCharts. LitCharts LLC, 16 Sep 2013. Web. 23 Apr 2019. Sobel, Ben. "All Quiet on the Western Front." LitCharts LLC, September 16, 2013. Retrieved April 23, 2019. https://www.litcharts.com/lit/all-quiet-on-the-western-front.